Falling Kingdoms is the first volume in an epic Fantasy series centred on the land of Mytica, which is split into three kingdoms simmering on the brink of war. I liked the fast paced plot and settings of the book, but have a few concerns about the characterisation. Overall, it’s a great book and I am looking forward to the rest of the series. For me, the brilliance of this book is in the world building. Auranos is a prosperous land, of which Cleo is the younger princess, and the object of envy from the other two kingdoms: Paelsia, the bordering kingdom that has declined to the point of ruin, and Limeros, a well to do place ruled by a vicious king known as the Blood King for obvious reasons. The problems between Auranos and Paelsia are economic: Paelsia signed a contract to produce only wine, to export to Auranos, and thus import food and other items from Auranos in return. Paelsia’s very soil is now unable to sustain anything but grapes for wine (it seems magical intervention has made this so), and so they are at the mercy of Auranos, who buy the wine from them at ever decreasing prices. This, combined with a leader who takes 75% of the wine profits in taxes, has led to a kingdom that is destitute, dirty, desperate, and increasingly dissatisfied with their unjust lot. Our four young heroes come to age in this volatile situation. I liked Magnus, the heir to the throne of Limeros, the most, I think he was strong despite his despot of a father and has the most potential. I also liked his sister Lucia, she is probably my favourite character because she’s brave and kind, but not insipid or complacent as some daughters of Kings are written. Jonas, a Paelsian wine-seller’s son seeking vengeance for the murder of his brother, is also written well but so narrow-minded that I found myself disliking him. It was Cleo who proved problematic to me: the second daughter of the king of Auranos, spoilt, stubborn, unthinking and mind-numbingly dumb, Cleo’s chapters made me stop reading this book for two whole days before I sucked it up and read the final hundred pages. Cleo is also where the author’s world building breaks down: Auranos allows female children to inherit – Cleo’s older sister is the heir – so the princesses are, in theory, entitled to an education covering not only arts, writing and embroidery for females, but politics, battle theory and tactics. It follows that the guards and staff at the palace would treat them with respect. And yet guards mouth off to Cleo and asking her what use her art and embroidery will be in war. It makes me think that, for whatever reason, these girls aren’t educated in a manner befitting potential future rulers of the land, and are stuck in the more traditional roles where women are delegated child rearing duties and little else. Cleo and her sister are woefully uninformed about everything, and Cleo lacks the mental acumen to figure anything out by herself. Even with an army outside her palace, fighting to break in, Cleo is surprised that she is unsafe in the castle. Surprised that she’d be in danger if they manage to break through. The murder of Jonas’ brother at the hands of a Lord travelling with her fails to strike her as important, and Cleo fails to connect the death of a mere peasant to the growing discontent of the neighbouring kingdom. After tensions rise to breaking point, and she is told explicitly that to travel to Paelsian would be dangerous, especially for her, she runs away and has the gall to be surprised when she is captured to be ransomed. There’s sheltered, there’s naive. And then there’s wilfully stupid. Go and die in a hole you ignorant nit wit. Now, you might say that Cleo, who is not expecting to reign after her father, might not have been expected to attend lectures on politics, logic, and the like, but then I ask you, what sort of King doesn’t prepare for chance, however small it may be, that his heir may die? 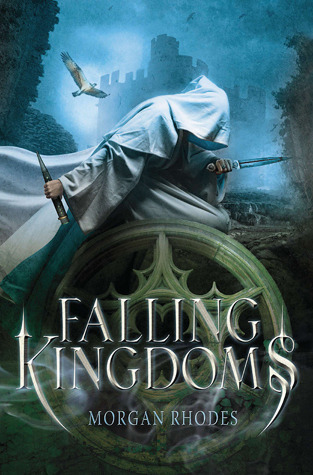 Regardless, I liked the plot of Falling Kingdoms: the blood, betrayal, and secrets.It played out well on the political level – it’s nothing like a lot of adult fantasy, which is a relief, but still engaging. 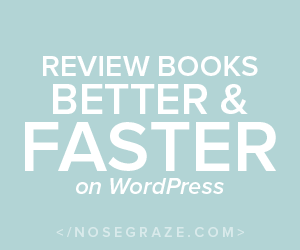 I was surprised by some of the turns the story took, and enjoyed the way that romance was wisely kept as a subplot and never took over the story. I also enjoyed the magic system in the book – it’s interesting and mysterious, and I can’t wait to find out more. I loved the glimpses of the Watchers that were offered to the readers, and want to get to know them better too. There is a lot to like about Falling Kingdoms and despite my antagonism towards Cleo, I did enjoy it. I’ll be looking out for the next book in the series! Those who enjoy epic fantasy but perhaps tire of the endless politicking that marks them will enjoy this book, and it will also appeal to young adult fans looking for an adventure in a fantastical setting.